Quiet books are great projects to make for your own little ones or to give as gifts. Learn how to make your own DIY quiet book with felt pages complete with eyelet holes to easily secure all of the pages together- Ashley Hough shows you how. For this DIY quiet book all you need are sheets of craft felt, eyelets and an eyelet insertion tool. Ashley begins by first explaining how big to make your pages depending on what you are putting on your quiet book pages. If using words, like the DIY quiet book in this tutorial, you will want to find your longest word and base your page size off of it. Once you know how big to make your pages, cut out all of your felt pages and felt words or shapes to be appliqued in place. 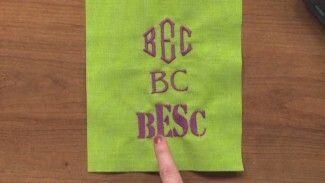 Ashley shows how she stitched all of her letters in place using a blanket stitch and gives tips on how to go around outer and inner curves as well as how to pivot around corners and sharp points. Once the pages of the DIY quiet book have been sewn, eyelets can be added to the upper edge or side to allow you a way to secure all of the pages together. 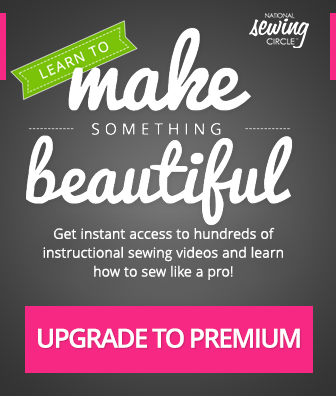 Ashley demonstrates how to use an eyelet insertion tool which makes inserting eyelets quick and easy. 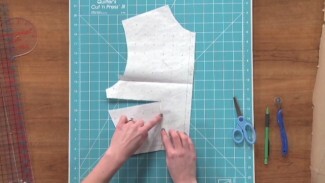 She shows how to use the tool to first cut the appropriate size hole in the fabric and then how to use the same tool to secure the two sides of the eyelet in place. Some eyelet insertion tools work with several sizes of eyelets while others only insert one size- so ensure the size of eyelet you choose to use works with your tool. Once you’ve made one or more DIY quiet books, learn how to make a padded book bag to carry all your books and see more project ideas.